Magnetic resonance enterography (MRE) is increasingly relied upon for noninvasive assessment of intestinal inflammation in Crohn disease. However very few studies have examined the diagnostic accuracy of individual MRE signs in children. We have created an MR-based multi-item measure of intestinal inflammation in children with Crohn disease — the Pediatric Inflammatory Crohn’s MRE Index (PICMI). 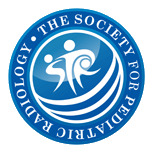 To inform item selection for this instrument, we explored the inter-rater agreement and diagnostic accuracy of individual MRE signs of inflammation in pediatric Crohn disease and compared our findings with the reference standards of the weighted Pediatric Crohn’s Disease Activity Index (wPCDAI) and C-reactive protein (CRP). 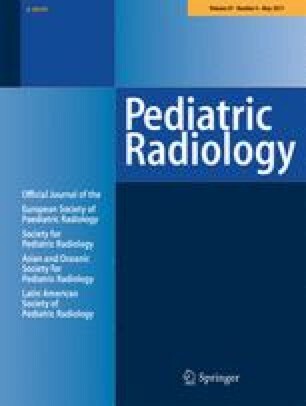 In this cross-sectional single-center study, MRE studies in 48 children with diagnosed Crohn disease (66% male, median age 15.5 years) were reviewed by two independent radiologists for the presence of 15 MRE signs of inflammation. Using kappa statistics we explored inter-rater agreement for each MRE sign across 10 anatomical segments of the gastrointestinal tract. We correlated MRE signs with the reference standards using correlation coefficients. Radiologists measured the length of inflamed bowel in each segment of the gastrointestinal tract. In each segment, MRE signs were scored as either binary (0-absent, 1-present), or ordinal (0-absent, 1-mild, 2-marked). These segmental scores were weighted by the length of involved bowel and were summed to produce a weighted score per patient for each MRE sign. Using a combination of wPCDAI≥12.5 and CRP≥5 to define active inflammation, we calculated area under the receiver operating characteristic curve (AUC) for each weighted MRE sign. Bowel wall enhancement, wall T2 hyperintensity, wall thickening and wall diffusion-weighted imaging (DWI) hyperintensity were most commonly identified. Inter-rater agreement was best for decreased motility and wall DWI hyperintensity (kappa≥0.64). Correlation between MRE signs and wPCDAI was higher than with CRP. AUC was highest (≥0.75) for ulcers, wall enhancement, wall thickening, wall T2 hyperintensity and wall DWI hyperintensity. Some MRE signs had good inter-rater agreement and AUC for detection of inflammation in children with Crohn disease. The online version of this article (doi: 10.1007/s00247-017-3790-4) contains supplementary material, which is available to authorized users. The authors received funding for this study from an educational grant from the Canadian Association of Gastroenterology and Takeda Canada Inc. The authors are grateful to Karoline Fiedler for assisting in data extraction. The hospital and university research ethics boards approved this study and waived the requirement for informed consent.